Dubai: The writing and spelling skills in Arabic and English language of public school pupils are far below expected standards, according to an assessment of over 40,000 public school pupils in 285 schools across the country. In November last year, the Ministry of Education introduced the UAE National Assessment Programme (UAENAP) for public schools in Dubai and the northern emirates. About 40,000 pupils in Grades 3, 5, 7 and 9 underwent five days of testing to assess their knowledge and ability. The subjects assessed were Arabic reading, writing and spelling, English reading, writing and spelling, Mathematics and Science. Announcing the findings of the assessment yesterday, Humaid Mohammad Obaid Al Qutami, minister of education, said that the reading skills of students in the Arabic and English languages surpassed expectations and the science and maths abilities of the pupils were also up to the mark. However, writing and spelling skills in Arabic and English were not up to the expected standards, he said. "The findings of the assessment will be used to overhaul the curriculum," he said. On average the girls performed better than the boys, but boys were well represented in the top performing students. In Arabic writing, ninth grade boys scored 415 while the girls scored 610, and in spelling boys scored 613 while girls scored 668. In English writing, ninth grade boys scored 485 and the girls 584, and in spelling boys scored 463 and girls scored 517. UAENAP aims to investigate the progress of pupils against the standards defined in the national curriculum and gathers data that will be vital for decision making on allocation of resources, curriculum development and teacher development, said Aisha Al Shamsi, who heads UAENAP at the ministry. The copies of the assessments will be distributed to the stakeholders, including the educational zones in these emirates, school principals and parents. "The assessment will help the ministry get a clear picture of the quality of education offered in these schools. It will also allow the officials and policymakers to study the strengths and weaknesses of educational zones, schools and individual pupils," the minister said. Aisha Ganem, director of evaluation and examinations at the ministry, said they were working on including more schools and pupils in the tests. The next cycle of the tests will be held in January next year, she said. UAENAP results will allow comparison with the results of international assessments, she added. The tests were developed by the ministry with the help of the Australian Council for Educational Research (ACER). 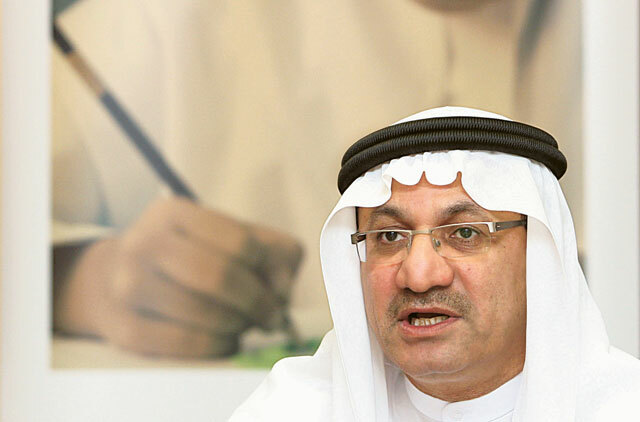 Alan Egbert, the Middle East manager of ACER, said: "The tests not only show the children how they have fared but also provide the actual expectations. This will help tremendously in their personal goal setting for improvement."